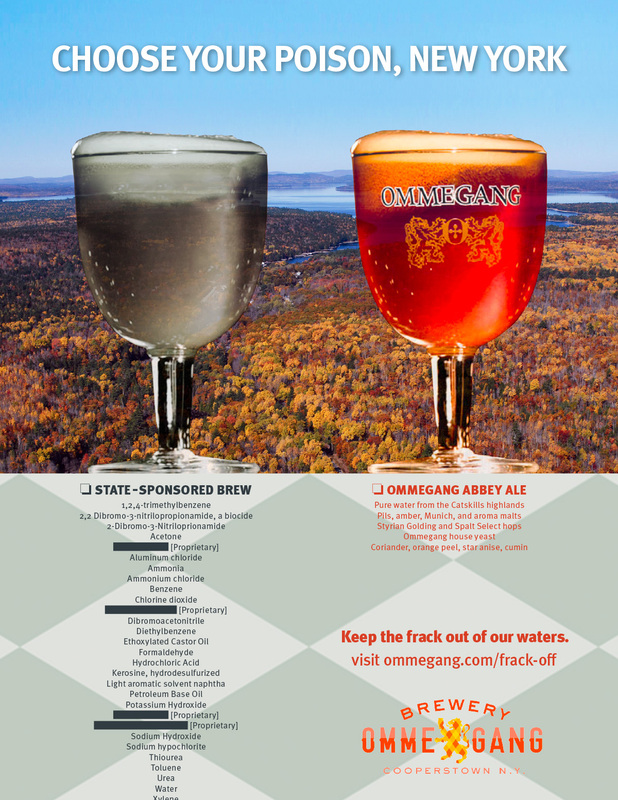 Ommegang, one of the country’s top craft brewers, is directly threatened by water pollution from natural gas hydrofracking. Our goal is to mobilize the public against the fracking industry. Ommegang lends force as a local icon for the value of pure water. The ad contrasts fracking chemicals with the ingredients of a Belgian-style ale. If it manages to sell case or two, so much the better. I art directed and wrote the copy.